As you may know, my town was one of the hardest hit by Hurricane Harvey. Incredibly, my house wasn’t damaged by rain or the floodwaters, and for that, we are beyond grateful. However, preparing for the storm, hunkering down through its 5 days of destructive rainfall and flooding, and now, working to help rebuild what we’ve lost as a community has been educational, to say the least. 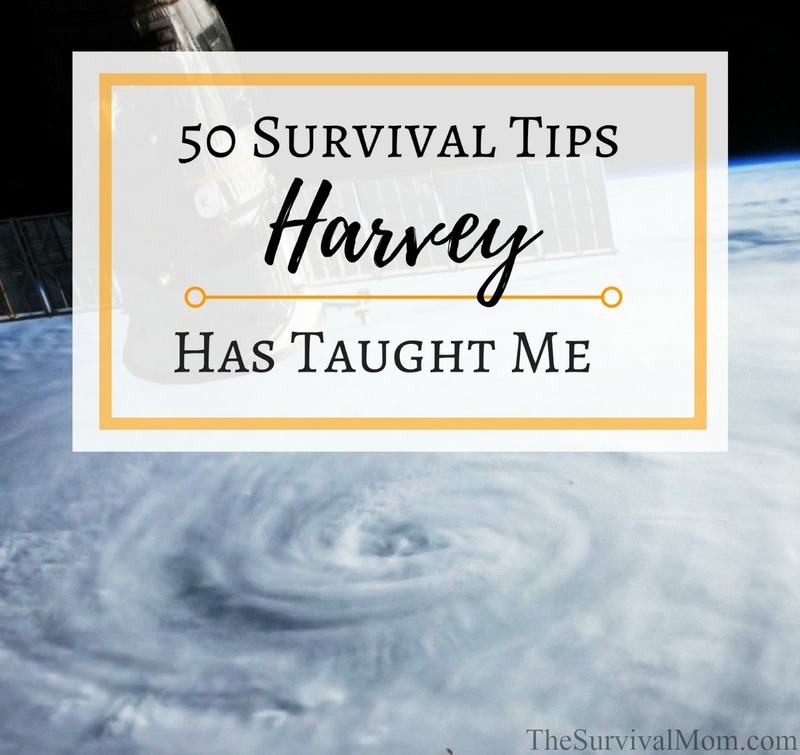 Here are some of the most important Harvey survival tips I’ve learned, in random order. Anyone who isn’t a prepper is nuts. I’ll just start off with that blanket statement. I felt so prepared for this hurricane that I almost felt guilty as everyone else was fighting over cases of water bottles at Costco. In fact, the day before the storm hit, I ran to the grocery store anyway, just to keep in the spirit of things but nothing I bought was necessary at all. Three gallons of Blue Bell ice cream? Definitely not necessary. Thirty days worth of food in a back pantry somewhere, is. Don’t go through any medical procedure the day before a hurricane hits. My son had an ingrown toenail taken care of on the Friday morning Harvey arrived and when the toe looked like it could be infected (it wasn’t), there was no medical service available short of a trip to the ER. Get flood insurance, even if you live in an area that doesn’t traditionally flood. Homeowners insurance does not cover damage caused by water coming in to your house. Only 15% of people in the Houston area had flood insurance. I have been thanking God every day that I ponied up the $450 last year for coverage. This might be the biggest Harvey survival tip of all. Along with that, review your insurance limits to make sure they offer the amount of coverage you’ll need in case of wind damage, water damage, fire, etc. Make sure your understanding of what is and isn’t covered is crystal clear. Nextdoor.com is another life saver. I was very uncomfortable with this website when I first learned about it a couple of years ago. However, with Harvey, it’s been one of the best resources around for information that impacts us most directly. The local news channel isn’t going to let me know about a downed tree in front of the First Methodist Church, but people on Nextdoor.com will! Heavy duty galoshes (rain boots) can be worth their weight in gold. Trudging through inches and feet of floodwater can be dangerous without boots. My kids both have boots that almost reach their knees, and these were perfect for our needs. If you do make a run to the grocery store in the days leading up to a big storm or something similar, go ahead and throw in some goodies you don’t normally buy. I didn’t need 3 gallons of Blue Bell, but it was kind of nice to have a treat while we were sitting around listening to hours of rainfall. Get a few Luci lights. 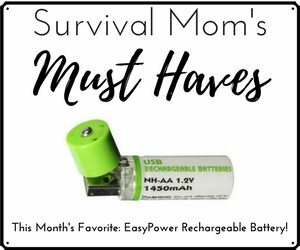 I fell in love with this product during the time we were without power. It’s an inflatable solar lantern that is ultra lightweight. The Luci collapses into a little disk that is so easy to tuck into an emergency bag, a drawer, or the glove compartment. When our power was out, this lantern was just perfect for providing enough light for a work area or for reading. If you do lose everything, or at least a LOT of what you own, go ahead and cry and ignore people who say things like, “It’s just things. You’re lucky to be alive.” I’m hearing that on our local forum and it’s not helpful at all. It’s okay to grieve over ruined things. They were a part of your life. They represented what was once normal and now that is gone, at least for now. Cry all you want to and need to without making any excuses. For those of you who want to give real support and comfort to someone who has lost everything, read this. Prior to a big emergency like Harvey, people will go nuts buying cases of bottled water. Try to keep 3 or 4 cases on hand all the time to avoid the rush, and then have a dozen or more bottles in the freezer. These will help keep the frozen food cold if the power goes out and can be used in an ice chest as well. Watch local news but don’t go overboard. After a while it gets repetitive anyway and it can definitely be discouraging. Churches will be at the forefront of rescue, recovery, and rebuilding. If you want to help out, call a church. Every church in my town was involved with Harvey recovery in one way or another. Not all phone weather apps are the same. I am liking Weather Underground very, very much but Weather Bug was a disappointment. For people who can’t get enough weather information, you’ll want to download Storm, which I review here. Be prepared for emotional ups and downs. On Day 4, I was angry and not very nice to be around. On Day 5, I was weepy, especially when I heard about a brave police officer who lost his life trying to help flooded families. I cried when I realized my hair salon was flooded, not because I would have to put up with gray roots for another couple of weeks but because it represented the very carefree life I had lived before and how much has been lost. Be aware of downed electrical wires. One young man lost his life while walking through water that hid a power line. Buy a few N95 respirators when you begin cleaning out flooded homes. During the Katrina clean-up, many people contracted debilitating illnesses due to inhaling mold and mildew spores. If you are going to help with flood recovery, be sure to wear protective gear, including the respirator mentioned above. Wear boots that go above your ankle a few inches to protect from snake bites and fire ants and heavy work gloves. When the mucking out and clean up begin, be sure to protect yourself and everyone else by wearing very sturdy shoes (nails, screws and other sharp pieces will be everywhere), heavy duty gloves, and long pants. Even if you can’t help with actual demo work inside flooded homes, you can loan tools, small generators, filled gas cans, work gloves, extension cords, and fans. Label them with your name and phone number but in the madness of storm recovery, you may not get them back. Bless and release. Don’t be surprised if you are overwhelmed with kind offers of help. Even though our home wasn’t flooded, I was contacted by people all over Texas and even out of state wanting to help me out. In times like these, people want to help, want to give, and want to be a part of the rescue. It’s an amazing side of humanity I’m seeing, not only in my town but in all areas affected by Harvey. Take care of yourself. You’re going to need a mental break every now and then. On Day 4, I took an Epsom salt bath and had a glass of Moscato. It helped. Use the Waze app to find multiple routes from Point A to Point B. It will account for road closures, which is immensely helpful. Don’t wig out every time you hear a news report, especially on social media. If it doesn’t come directly from an official channel, then take a few deep breaths and wait until it’s verified. I got a text message from a friend telling me to start filling up my bathtubs with water because, “…they are going to be doing something to our water today.” Someone on Facebook said, “I just talked with a few people in the know and they said Conroe Dam is going to be doubling their water release.” In both cases the information was wrong and a lot of people were needlessly scared. It will take a while for life to return to a new normal. My hair stylist will find another salon in which to touch up my gray roots. My doctor will relocate to another office somewhere in town. We’ll be patient as our favorite restaurants work to re-open. Much of survival is mental and it’s important to accept and adapt to changes. Be prepared to homeschool for a while. Years ago I worked at a school that was hit incredibly hard in a late-summer storm. It’s metal roof was ripped off and classrooms were filled with water. In that case, students had to be shuffled to other schools, and it wasn’t until January that this school was able to re-open. Depending on your circumstances, you may need to become a homeschooler, even if just for a week or two. I’ve written a lot about how to get started homeschooling and you can read all of that here. If you have skills in administration and logistics, put them to work! One neighborhood in my town has set up their own volunteer check-in desk at the entrance to their subdivision! As volunteers arrive, they are directed to specific homes in need of help. To do this, you’ll need neighborhood maps, roving volunteers with walkie-talkies to assess damage and report to the control center, and, of course, food and water is appreciated. This is a brilliant example of micro-emergency response. Prepare yourself mentally by thinking through “what if?” scenarios. What is you wake up to water flooding the inside of your house? What if you have to evacuate by boat? What if the roof is ripped off by winds during the night? Run these scenarios through your mind and now, when time is on your side, rehearse what you’ll do, what you need to have within arm’s reach, etc. Finally, become a good listener to those who are in shock. When a home becomes unlivable, it shakes a family to the core. A home isn’t just a cement foundation, wood framing, and sheetrock. It’s the ultimate safe space. It’s what you look forward to at the end of the day. It’s where “your people” are. Perhaps what Harvey’s victims will need the most, once the muck and the mud are cleared out and the reality of being homeless for a while sets in, is just a listening ear, and that’s something all of us can provide. 12 Days of Back-to-School Giveaways: Day 10, $30 Denny’s gift card and Mosquitno bracelets! 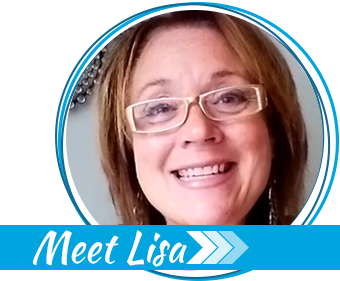 Hi Lisa, I’m in Houston near Briar Forest and Wilcrest. 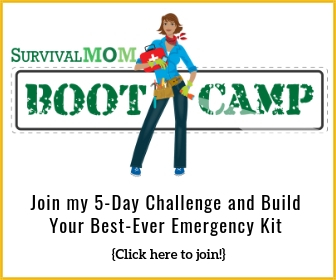 As a prepper, I was almost completely ready. I should add some kind of inflatable or folding boat with maybe an electric motor. I didn’t flood either even though there was a lot of rain over a couple of those days. Lastly, been spared from the reservoir flood downstream too. Some good tips you have there. I rarely comment but have been a fan for some time. Praise God that you and your family are safe! Your insights here are so helpful, and will be useful in preparing for future calamities. For those of us in other parts of the country that have not experienced this firsthand, it’s very hard to wrap our heads around the devastation that you folks have endured. My thoughts and prayers are with your family and fellow Texans. Stay safe! Mosquito repellent (I use citronella oil) as there will be more than you could believe possible. An understanding heart. Try not to let your feelings get hurt by what happens. Whoever offended you was probably beyond the breaking point and you were the closest or safest one to receive the explosion of words. Realize that grief will catch you unexpectedly. As a former resident of Houston and Orange (Harvey round 3) I had to go home from work one day. Reading a work related website with a small blurb on conditions there just did me in. So if you’re part of the disaster, grief will “grab you” when you least expect it. Blessings as your world readjusts to post Harvey. 3. regarding rubber boots, ABSOLUTELY!! the picture of the Houston SWAT team member carrying the woman and sleeping child to safety is my favorite picture out of Harvey. Rubber boots or hip waders, or even chest waders would protect someone from nasty stuff in the water. BTW, the SWAT guy , woman and child have all been identified. As for racism in America, please show me the racism in that picture. 4. regarding #11, I have read that in the event of a disaster having a person far removed from the disaster area to serve as a point of contact for relaying information keeps the interruptions down for the storm victims who have more important things to focus on. Facebook may also work as people can check in to Facebook and not overwhelm the point of contact person, or the victim. 5. #49, I recently completed a bunch of FEMA disaster response training. Checking people in and out is emphasized in the training. It maintains some control over who comes in and out, residents can tell the gatekeeper they are expecting a person such as an insurance adjuster, it allows you to keep a list of people in case of problems like looting, and it lets the riff raff know they are under scrutiny. I really like this idea. Again, great list, THANK YOU, your credibility has gone up exponentially because of your experience and willingness to share. Blue Bell banana pudding ice cream is to die for. One thing I noticed in the shelter was that a lot of kids were refusing to eat. The food was mostly soups and foods that will feed a lot, but these kids were wanting pizza, hamburgers, pizza rolls, etc. I know eventually they will eat the food, but the parents are worried that their kids are going to starve to death in addition to all the other issues. That is something to consider with food is picky eaters or people on special diets. Parenting and having well disciplined children that eat what is in front of them would seem to be a reasonable preventative step. Hello? These children are traumatized! They not misbehaving,they are having a normal reaction to having the world as they know it end. They have no experience to give them perspective. I have included treats and comfort foods in my preps, but if we have to abandon everything and are left with just the clothes on our backs then my foresight won’t matter. A lot of those poor people didn’t even have shoes on their feet. How dare you! Where’s your compassionate? Or common sense? I completely agree with you. They have all been traumatized and the last thing they need is higher then thou mentality telling them how they should raise their kids. ALL kids have and naturally WANT their comfort foods just like adults. I also agree with your questions. Where is your compassion or common sense?!? It’s the age that we now live in. Meals are prepared from out of a box, families don’t eat together because of busy lifestyles. Many families eat more out than they do at they house. You would think Burger king, McDonalds or Taco Bell would have mobile disaster kitchens that could roll up to a shelter and start making whopper, nuggets and taco supremes, think of the free advertising not to mention goodwill. I’m sure they donate food or money to causes but look at waffle house FEMA uses them as an index. They do stuff for the troops on occassion and it an awesome moral booster. But as the saying goes in the preparedness arena Store what you eat eat what you store. If you dont eat beans they will sit on the shelf until beans are all you have left, and then may not know how to cook them. I went looking for the NIOSH-N93 respirators/filters and found nothing on Amazon. Can you provide a source? Walmart. Check paint, hardware, and automotive isles. The black trash bags were also great for last minute sandbags… I filled them with soil from my large potted plants and finally dug up a bit of our flower beds. They saved us from water flowing into the back door! Most people don’t know trash bags are rated for thickness in “mil” printed in the box. bags that are .95 mil are thinner than 3.0 mil bags and are heavy duty trash bags that feel construction rolls of plastic. That being said heavier trash bags also tend to rip easier it they get a cut in them. Contractor bags usually are 42 gallon bags from the hardware store of TSC or rural king type stores and hold up well. Also the flex bags Gladd came out with are great in there design. Sams club has a members mark version of them. The are designed to stretch with out splitting. and as a side note it better to use many bags and make them easy to lift than to make them heavy split open and have to clean the mess up and bag it again. We used the 3 mil contractor bags, but didn’t fill them up by any means! I made them the size of standard sand bags so they were easier to handle and also fit the doorways better. Excellent article. For post-hurricane stockpile it seems that bread and toilet paper are items that are in very short supply, in addition to gasoline and water. How are you doing in Beaumont? I’ve been concerned because I know you were hard hit, but Houston is getting all the attention. Our house had 2″ of water in it. North edge of Beaumont and south end of Hardin County along the Pine Island Bayou watershed has been devastated. 35″ of rain fell in 4-5 days at my house. We have been very blessed to be able to stay in our Pastor’s House and water receded enough today for us to be able to get our trust, trailer, and FFA pig out today. Many, many houses, though, are totally submerged in 500 year flood zone, almost all of whom had no flood insurance. US 69/96/287, the main north south freeway in far East Texas had 8′ of water OVER the road at Pine Island Bayou and 96 North had an entire section of bridge collapse. And the poorer areas of Port Arthur (near the coast and the large Motiva and Valero refineries) were badly flooded. Just the beginning of the tale. It will be a long, long Road for Southeast Texas. Please pray for all of the area. Glad we were prepared didn’t h ave to stand in any long lines before hurricane hit ,ready to restock some candles to be ready for next storm but walmart is still out . Next on our list is generator and chain really hot in corpus Christi. One thing that stands out from all the reading all over the crazyweb is the lack of preparedness, it is sobering to say the least. I ‘assume’ (yeah, that word) you either didn’t lose power or you had an alternate power source. I would hope the latter. Lisa, I am so glad you and your family stayed safe through that frightening experience and was able to keep your self-deprecating sense of humor. A sense of humor can go a long way! 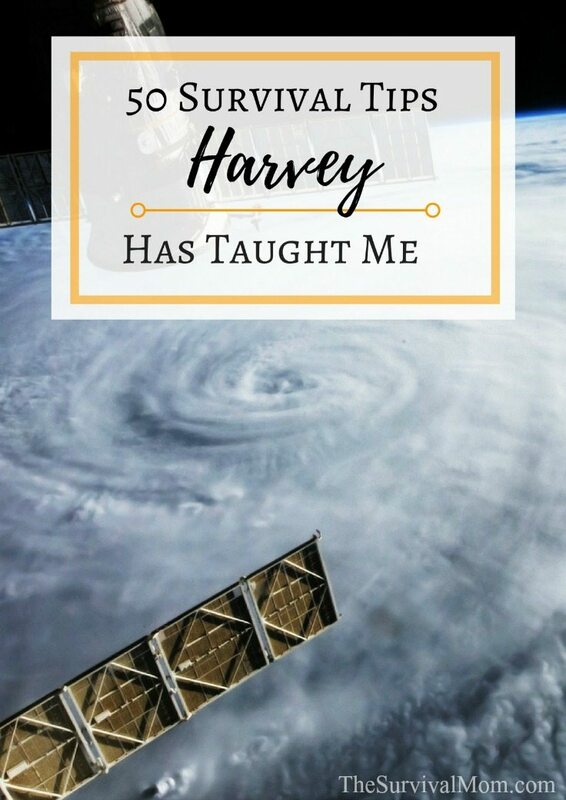 Thank you for that list and for your experiences with Harvey. 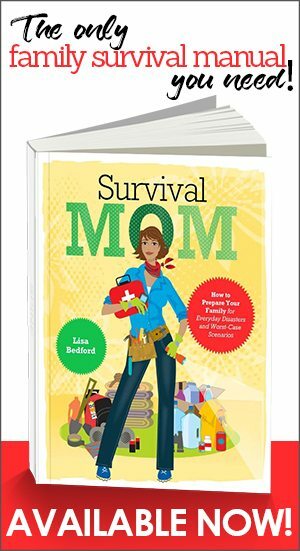 It helps us preppers to think “outside the box” a little more so we can be better prepared for times like these. Extremely informative article, that has all kinds of applications for other disasters! I must have missed the info on Luci lights. They look fabulous, and how wonderful that it can also be hung by the top tab to spread light around. I am also impressed that they are solar-no worrying about spilled butane or such. You have always been my number one go to place for planning and preparing. I love the Luci lights. When our power was out during Harvey, it provided plenty of light for me to read by. Thank you so much. I was really hoping someone in the community would post about what helped and what didn’t. You’ve really given me some food for thought about what I should add to my stockpile. Bless you and stay safe. These are wonderful tips. Thanks for sharing. They are really helpful and applicable to any disaster. I especially like: “Cry all you want to and need to without making any excuses.” Very true. So sorry what your community is going through. 1) Yes, anyone that doesn’t prep is nuts. 2) The fact that you know and love Blue Bell ice cream means you are acclimating well to our traditional diet here in the South. And have learned so much from you. And this article has given me some more great information to work with. We had a tree fall on our house a few years ago in the middle of the night. No power for 72 hours. One thing I learned the hard way was ALWAYS RUN THE GARAGE DISPOSAL AFTER DINNER! NOTHING LIKE STINKING ONIONS IN THE DISPOSAL FOR THAT LONG. But thanks to you we really got by very well one neighbor plugged in the freezer and the other the fridge. We did go without excess to the generator due to power lines. Thank you again for all the helpful information you offer us. Rubber boots and waders sold out in some places. Get yours in the off-season. Reusable ice packs used for injuries fit well between food items in your fridge, freezer and cooler; the other kind are less flexible, so to speak, but also help. Power packs are cheaper and more portable than ever. I have two pocket sized in a Plano waterproof box, and a large one that I use for my CPAP (I actually used it every night when I was homeless). Oh, and waterproof boxes/containers-in the fishing/camping/boating/diving section. For devices, documents, etc. Most float. I want radios, because cell service is unreasonable even in minor emergencies. If you own your home, consider impact resistant windows and doors; not to replace shutters, but to augment them. Hard hats. Submersible pumps and big squeegees for post-flood cleanup. Battery-powered and solar-charged lights w/motion sensors make it easier to move around the house and yard. I was prepared like you. We were not in a flood zone and just bought our dream home. We woke up to ankle deep water. You go into shock, you don’t think it could happen to you. Its only things you see on the news. You don’t know what to do first. These are all things I went through. When I got out of bed I was scared, I was worried about all our stuff. When I looked out the window i busted into tears, The water was up to the windows of our house. So I tried to hold it in but I was watching all our things be ruined. Our little boy just had his 6th birthday and all this stuff was gone. All the things on my kids floors they were losing. Like a mom I tried to save what I could of theres. I got black trash bags and started putting all the clothes I could into them and put them in the attic. I grabbed baby books, and vacation books. You mind kinda goes blank when you are in a panic. I knew I couldn’t get everything but I sure did try. The water was coming into the house fast and I had to do what I could before we needed to leave. I was lucky in one area, my two oldest were at a friends and didn’t have to witness the disaster. Our little one kinda thought the water coming in was cool. But had no idea what was happening. I remember being scared to walk outside because the water was chest deep. Im scared to death of drowning. I put everything important in a big ice chest, we had my daughters tumbling mat and put the ice chest on there to get it to float. My 6 yr old was on my husbands shoulders and I had our 85 lb. dog on her leash. Walking outside and seeing all the families trying to get out and our streets flooded made me cry again. This was a day I will never forget. But now I know what to do if it ever happens again. We are back home now and almost done with the rebuild process. But it has been a long and stressful process. I would never wish this on anyone. Thanks for sharing your experiences. A flood is devastating and takes so long to recover from. I’m sorry your home was flooded.